The original Lando miniseries was brilliant. This was one of the early stories that one of my favorite new writers handled (Charles Soule) and he knocked it out of the park. The art by Alex Maleev is absolutely on point also. Probably some of my favorite comic art in all of SW. There are 5 issues in the series and it chronicles Lando and Lobot as the get out of one debt and fall into another. One of the neater things about the series is not only the two alien creatures they accompany (the clones Aleksin and Pavol) but also that some of the things they find. Now, years later you can see how some of those things now tie into other parts of the canon especially in regards to the Sith and the lengths that they will go through to retain power. Also if you watch there are definitely some things on board the ship that you will see not only in other SW comics but also the movies. 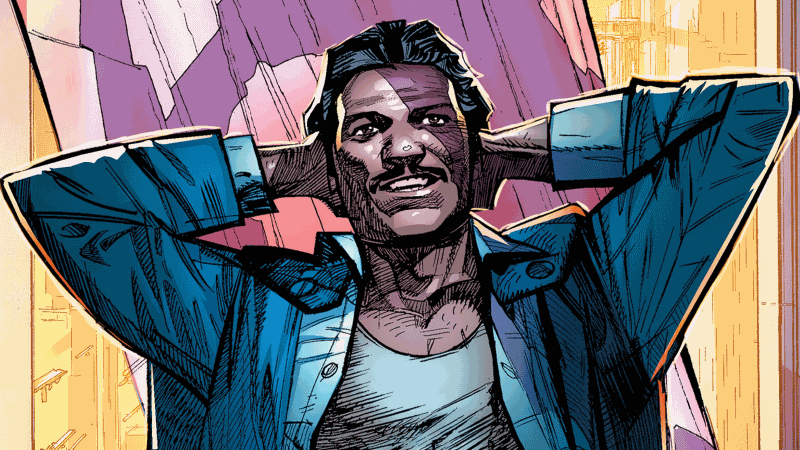 It looks like the series is available digitally for Kindle/Comixology and also there is a really good Hardcover where you can get the full initial Lando, Leia and Chewy series all in one book. I can’t recommend this series enough and I love talking to people after they have read it and seeing if they thought it was as awesome as I did.